APRIL 19TH - ANNIVERSARY OF SHISHALDIN 1999 AND PAVLOF 1986! Two of Alaska's most active volcanoes have eruption anniversaries today (April 19). Both are beautiful, symmetric stratocones that exemplify Aleutian volcanism. 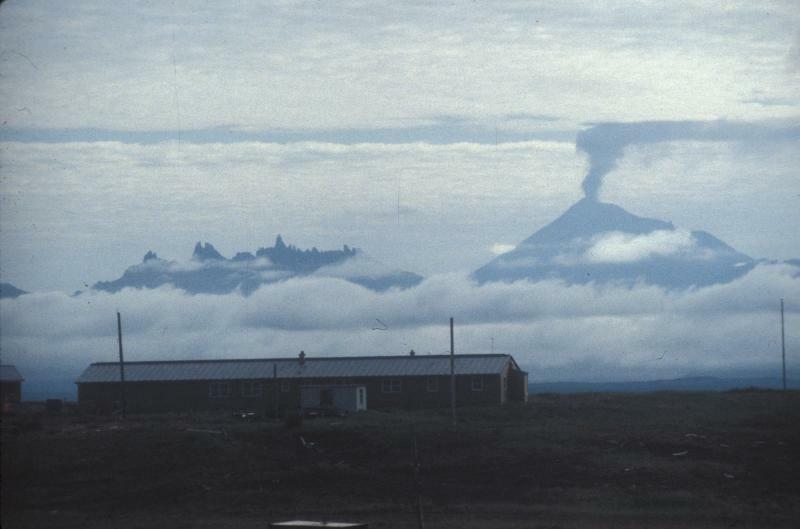 Pavlof Volcano exploded violently on this day in 1986, three days into a 4-month long eruption. The ash column reached nearly 50,000 feet above sea level. We donâ€™t have too many photographs from this event in the pre-digital camera age; are there any languishing in your attic? AVO would love to see them. Shishaldin also erupted on this day in 1999, after months of precursory restlessness. 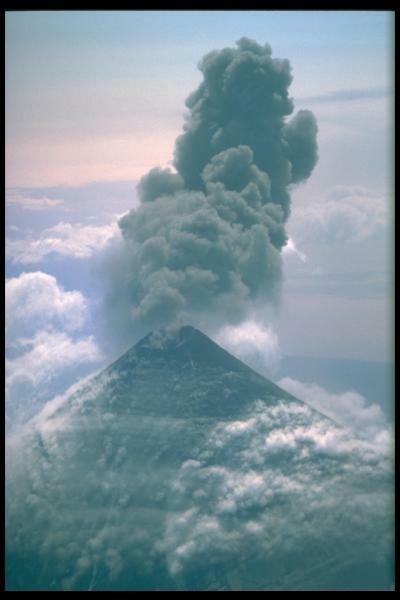 The April 19 explosion sent ash to 45,000 feet and was the most violent phase of the 6-week long eruption. This eruption disrupted traffic throughout the North Pacific. After the April 19th explosion, the volcano then settled into a less energetic mode of eruption like that shown in the photo attached to this post. Shishaldin is currently erupting at a low-level. Satellite images consistently detect temperatures indicative of lava within the summit crater. Our solitary operational seismic station near Shishaldin (SSBA) is recording intermittent small explosion signals. As of this writing on April 15, ash does not appear to have traveled much beyond the crater rim of the volcano's impressive throat.